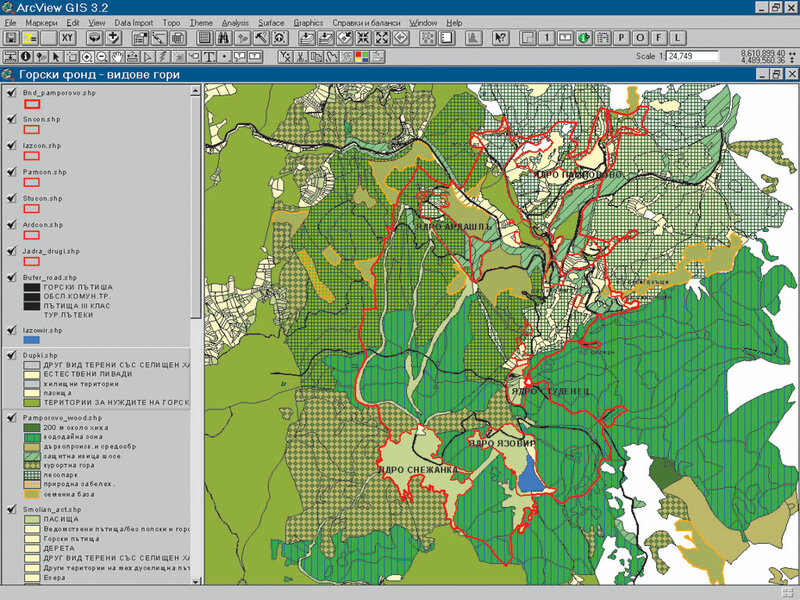 GIS Analysis of the types of forests surrounding the Pamporovo Resort. The Pamporovo Resort, situated in the heart of the Rhodope Mountains, Bulgaria, is recognized as one of the most beautiful vacation locations in Eastern Europe. The first villas were built in the 1930s and were originally visited by tourists and skiers from the capital city of Sofia. Resort hotels began developing in the 1960s, and it was in 1966 that the Council of Ministers made Pamporovo a national resort. The Pamporovo Resort originally was limited to a 104-hectare region; however, in the 1980s new communities began to develop with hotels and vacation homes outside the resort boundaries. After Bulgaria's communist rule ended in 1989, ownership of the agricultural and forest lands was restored to the former owners. This change brought about changes in the country's infrastructure development with new checkpoints planned, the privatization of hotels, and expanding individual ownership of land and businesses. By 2000 the pressures to develop the country's tourism industry dramatically increased. Fortunately, by the end of 1996, the Ministry of Regional Development and Public Works assisted in the development of plans for many of the seaside and winter resort communities. 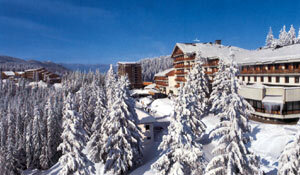 The Pamporovo Resort was one of the first to be considered. Part of the plan involved using GIS technologies for the first time. This plan was titled the Comprehensive Development Plan. In the Pamporovo Resort area, the plan had to overcome many problems within what had become a 695-hectare area. These problems included an old and overloaded tourist infrastructure, insufficient parking, rivalry and lack of coordination between resort structures, aging accommodations, poorly organized development of seasonal activities, lack of attractions and activities for nonskiers, lack of after-skiing activities, and coping with expansion in the neighboring areas. One of the aims of the plan included determining the resort's boundaries, which entailed distinguishing the configuration and ownership of the land within the boundaries. A second aim was to develop the concept to identify and build upon the potential tourist activities throughout an entire year while attempting to preserve the area's ecology and natural beauty. Another aim included establishing the policies needed to manage the area as well as creating new regulations specific to development of the resort. The resort is situated in the heart of the Rhodope Mountains, Bulgaria. The Comprehensive Development Plan expanded from the traditional multilevel analysis, combining knowledge and expertise in planning, economics, tourism management, and GIS. Implementing a successful GIS posed several challenges not uncommon to the time period and location such as lack of digital data, unfinished or updated cadastre, uncompleted land restitution processes, and lack of sufficient quantitative data about the area. Having examined a number of vendor options, the project organizers selected EsriBulgaria (Sofia, Bulgaria) to aid in development of the GIS. 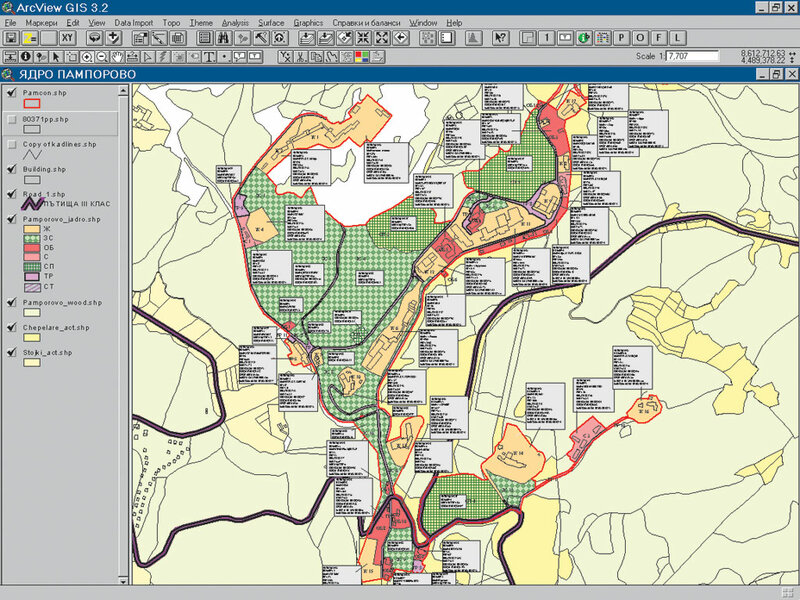 The GIS technology chosen to support development of the plan was ArcGIS including the ArcGIS 3D Analyst and ArcGIS Spatial Analyst extensions. The available information from numerous institutions was systematized in different layers corresponding to the elements of the analysis. The existing plan was based on the resort's 1966 regulation plan and information from the land restitution and forestry plans. The schemes clarifying the general idea of the comprehensive plan identified the basic GIS information including ownership and land use; types of vegetation cover; elevation; slope and aspect; areas and routes for summer tourism; and elements of the technical, tourist, and social infrastructure. In some cases additional data was collected to improve the data set's accuracy. For example, contours from topographic maps were digitized, but for some parts the elevation data was enhanced with collected survey measurements. Using ArcGIS 3D Analyst, a triangulated irregular network (TIN) was created from the elevation data for the Pamporovo area. "The most important analysis we've made was deriving slope and aspect and deriving visible areas depending on chosen terrain points and hillshade," says Hristro Dechev, a member of the project team. The central part of the resort. Details are in the boxes. Detailed data sets were developed at a 1:1,000 scale for building and other planning infrastructures. Tabular-specific data included further detailed information with respect to the various land uses. The GIS along with other technologies was utilized in the processes involving data collection and gathering, updating information, and planning and design and for presentations at public discussions (i.e., showing views created using ArcGIS 3D Analyst), before expert council, and at conferences. The achievements of the team working on the plan include delineation of the boundaries of the resort and its structural elements, creation of buffer zones, terrain analysis for further clarification of the construction potential, tracing the new ski tracks and lifts, tourist routes selection, capacity calculations, and general visualizations. The project received two awardsthe Union of Bulgarian Architects 1997 annual award for the implementation of a new methodology and the GISInvest Ltd., a Sofia award for GIS implementation in 1998. After numerous public discussions, the plan was finally adopted in May 2001. In addition to the overall concept of the plan, the most important accomplishment of the team was the new methodology, expanded content, and scope of the analysis, appropriate to the current dynamic environment. After the master plan had been made public, other teams used its structure and methodology to prepare plans for some new developments in the mountains. The information and the experiences gained were used to train architecture and geodesy students in landscape planning and GIS. The plan has also formed a solid background for future research and tourism planning, which is supported by politicians and the general public. For more information, contact Associate Professor Vesselina Troeva, Ph.D., University of Architecture Civil Engineering and Geodesy, head of Urban Planning Department and team leader (e-mail: vtroeva_far@uacg.bg), or Hristo Dechev (e-mail: hristo.dechev@mapex.biz).